You messed up on the job. Big time. Now what? Making a mistake at work can be both horrifying and humbling. Not only does it leave you feeling embarrassed, but your professional reputation and credibility may hang in the balance. We don’t do our best thinking when we’re stressed or anxious, so knowing how to react before a mistake happens will prepare you to react sensibly. Before you react, take a deep breath. Remind yourself that every single one of us screws up at one time or another. Your foibles are a sign that you’re human. You’re not the first person to make a mistake on the job. You won’t be the last. 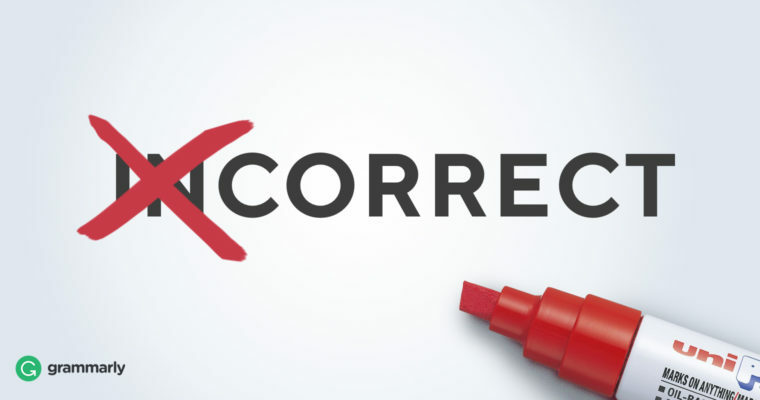 For the conscientious, mistakes often feel like a bigger deal than they are in reality. If you’re a perfectionist, you may be extra hard on yourself. In times of stress, your brain becomes your own worst enemy. If you find yourself catastrophizing or leaning on negative self-talk, try a new script. I’m such an idiot! This is the worst. People make mistakes—guess it was my turn. It’s embarrassing, but I’ll get through it. Although some jobs are exceptions (if you’re a pilot or a surgeon, it’s probably best if you don’t make major gaffes), most jobs aren’t a matter of life and death. Let’s say you made a noticeable mistake—you forgot your security code and triggered your building’s alarm. Not only did the alarm blare, but the police showed up, and nobody got any work done for much of the morning. Okay, that’s bad. Your whoopsie inconvenienced people. And yet, although they may tease you for a while, everyone’s okay. Analyze what went wrong and prepare a solution. If there’s something you can do to remedy the situation immediately, particularly if doing so would mitigate some of the damage, do it. I once emailed a journalist, except that the person I thought I was emailing wasn’t actually the one I sent the message to. Hey, look! I got your name right this time. Through the magic of Gmail’s email address auto-complete feature, my message intended for Bryan H. went to Bob H. instead. I hope you’ll accept my apologies for the screw-up. I’ve learned a valuable lesson—I should double-check email addresses before hitting send. We have a cool story coming up that I think would be a great fit for you and your readers. I’ll be sending it your way in a couple weeks. And that email will definitely be intended for you! Of course, if the email I’d mistakenly sent Bob had been something particularly private or sensitive, I would’ve consulted my supervisor before proceeding to this step. High profile mistakes may require that you bring in others to help with the clean-up. After you’ve taken the time to analyze the mistake and figure out a solution, or at least a way to show that you’ve learned something from your error, it’s time to own up. Owning your error gracefully will go a long way toward salvaging your credibility. There are a couple components. The worst thing you can do after you mess up is to make excuses or shift the blame onto someone else. Although it’s important to understand and be able to explain what happened, you should make it clear that you’re accepting responsibility. I’m late for our appointment because the sales meeting ran overtime as usual. I’m sorry I’m late. I know your time is valuable and sitting around is frustrating. In the future, I’ll make a point to excuse myself from meetings that run over so I can be on time for my next appointment. See the difference? One sounds more like a complaint than an apology. If you drop a whiny “I wasn’t on time because . . .” on a colleague, you’ll be asking them to deal not only with your tardiness but with your negativity about meetings that run overtime. Skip the grumbling and get straight to apologizing. Apologize, but don’t overdo it. Be sure not to go overboard with apologies. It’s unlikely that whatever hideous sin you’ve committed requires you to repeatedly fall on your sword in a grand, overwrought mea culpa. In fact, apologizing too profusely can call attention to minor issues and make them seem like bigger problems. Instead, make one simple apology to the appropriate person or persons. And take time to do it right—no, “I’m sorry, but . . . .” The word “but” renders an apology meaningless because what follows is almost always an excuse intended to deflect responsibility rather than accept it. Here’s where your analysis of the mistake comes in handy! After you apologize, offer a solution that will prevent the same mistake from happening again. It could be anything from an action plan to a simple takeaway you’ve learned as a result of the slip-up. If you handle your mistake well, odds are there won’t be much of an aftermath. And that’s good. But if you do make an error that could have lingering effects, it could be helpful to get some things in writing. Consider writing a post mortem, breaking down the events that led up to the mistake, what was done to remedy the problem, and what you learned from the experience. When you document a mistake, you show your capacity for growth. Not only that, but you demonstrate an interest in helping others learn from your errors. Your efforts will contribute not only to mitigating any damage done, but to preventing future damage. When all is said and done—when you’ve analyzed your mistake, thought through a solution, apologized, and documented your learnings—then the time has come to let go. Forgive yourself for the gaffe and then refuse to hang on to it. Lingering on your mistakes only drags down your self-confidence and makes you less productive. You’re human, after all. Now go out there and give it your best!